In information fusion, the conflict is an important concept. Indeed, combining several imperfect experts or sources allows conflict. In the theory of belief functions, this notion has been discussed a lot. The mass appearing on the empty set during the conjunctive combination rule is generally considered as conflict, but that is not really a conflict. Some measures of conflict have been proposed, and some approaches have been proposed in order to manage this conflict or to decide with conflicting mass functions. 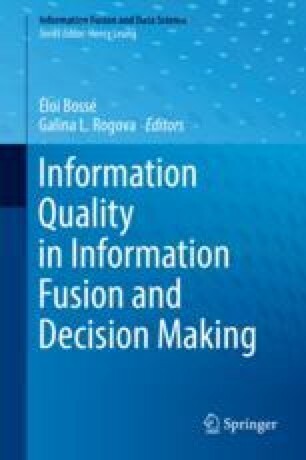 We recall in this chapter some of them, and we propose a discussion to consider the conflict in information fusion with the theory of belief functions.